Trenton “Trent” Merkel, 19, of Spring Valley, Minnesota, died Saturday, September 8, 2018 near Grinell, Iowa after a car accident. Funeral Services for Trenton Merkel will be held 11:00 A.M. Tuesday, September 18, 2018 at the North Prairie Lutheran Church in rural Lanesboro with Rev. Sarah Walker Brown officiating. Visitation will be held 5:00-8:00 P.M. Monday, September 17, 2018 at the Hindt Funeral Home in Spring Valley and will continue 1 hour prior to the service at the church. Burial will be in the Washington Cemetery. Trenton LeRoy Merkel was born May 19, 1999 in Rochester, MN. His parents are Nadine and Kyle Merkel and the late Brian Gathje. He attended and graduated from Kingsland High School in 2017. Trent worked at the Spring Valley Dairy Queen as a shift manager. He loved the outdoors, fishing and hunting. 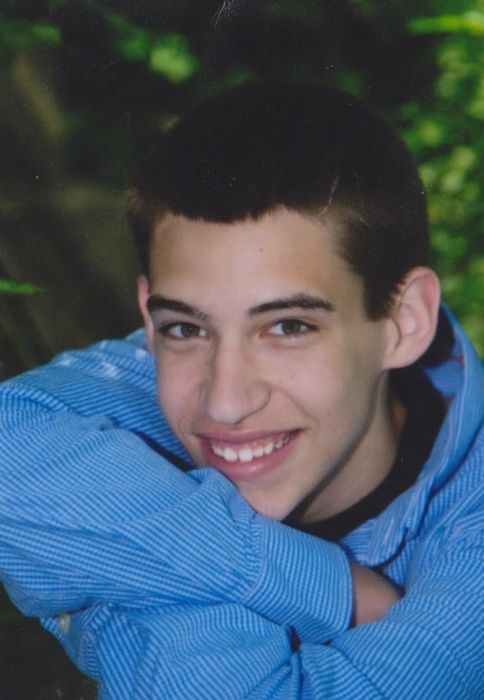 Trent enjoyed listening to music, playing video games especially Rainbow Six Siege, playing basketball, and hanging out with his friends. Trent is survived by his parents Nadine and Kyle Merkel of Spring Valley, MN; siblings Reed Merkel and Karissa Merkel both of Spring Valley, MN; grandparents Karol Horsman of Chatfield, MN, Gene (Darlene) Merkel of Spring Valley, MN, Norma Gathje of Rochester, MN, and Marvin (Donna) Gathje of Kellogg, MN; and many aunts, uncles, and cousins. He is preceded in death by his dad Brian Gathje, a grandpa “Bampa” Larry Horsman, and an uncle Mikey Horsman.